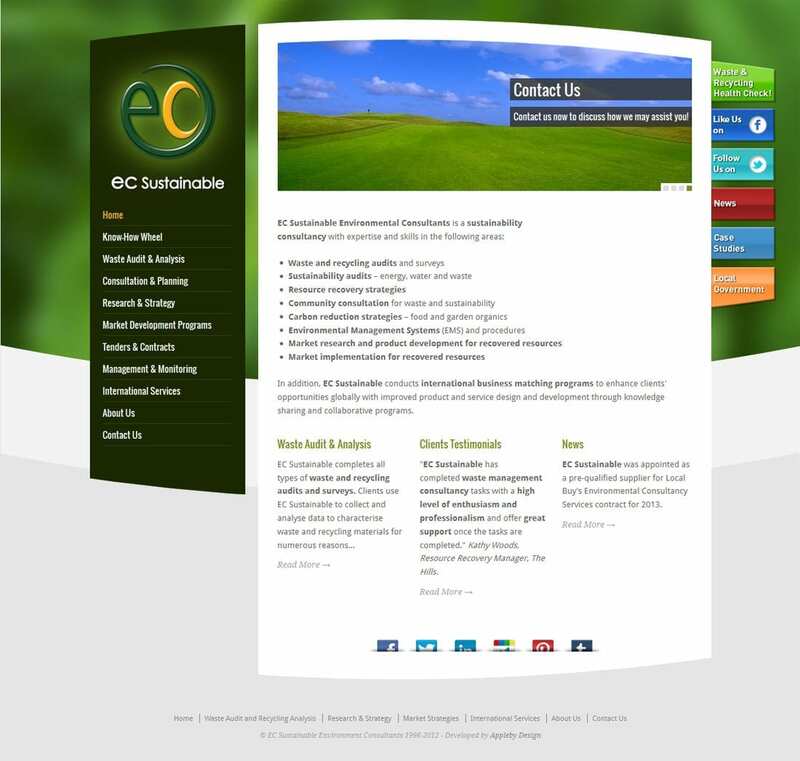 We worked closely with EC Sustainable to redevelop their website with this sleek design. We provided WordPress training, ongoing support and helped with illustrations as they completed the website content themselves. The home features a jQuery slideshow. Small flash elements are backed up by static images for browsers that don’t support flash.